There were boxes of beautiful stuff arriving from Copenhagen to our studio last week. 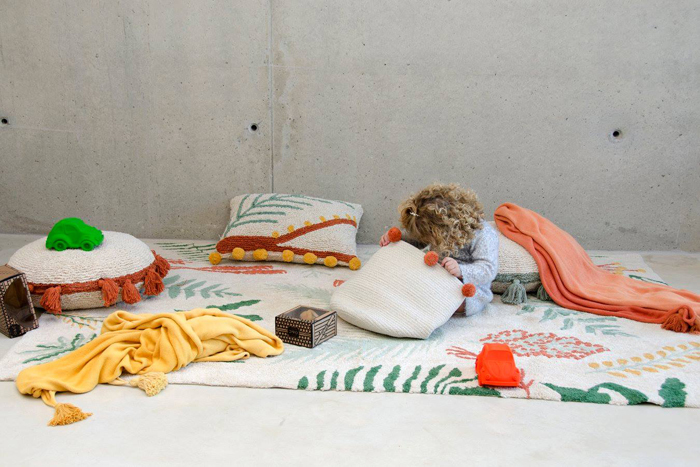 We teamed up with Danish brand Fabelab and received their gorgeous textiles, cuddly toys and tipi tent. 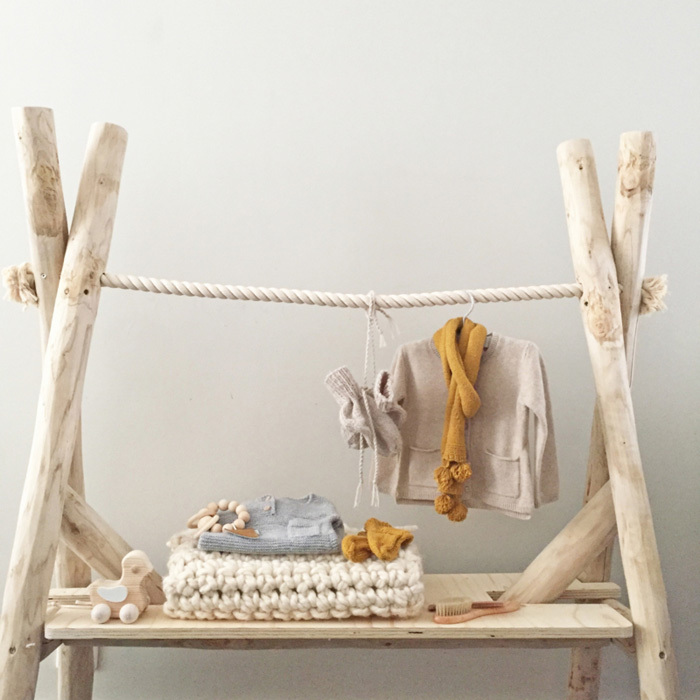 We love to collaborate with other creative brands, so setting up this toddler room was for us such a treat . 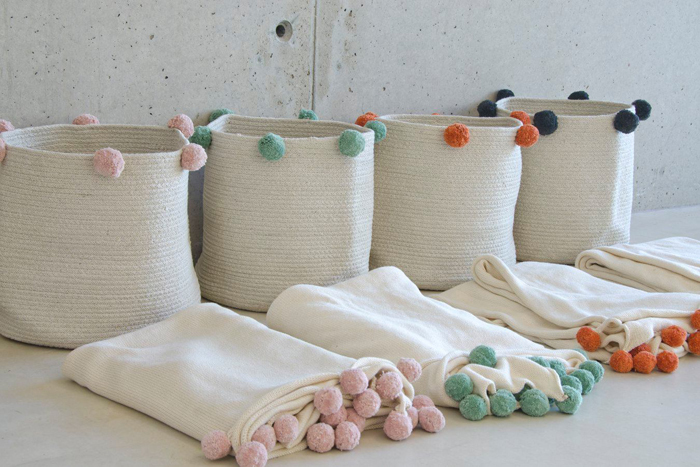 Beautiful shades of grey, soft pink and reach textures of felt baskets from our collection are the main theme of this latest Rafa-kids inspirational photoshoot. 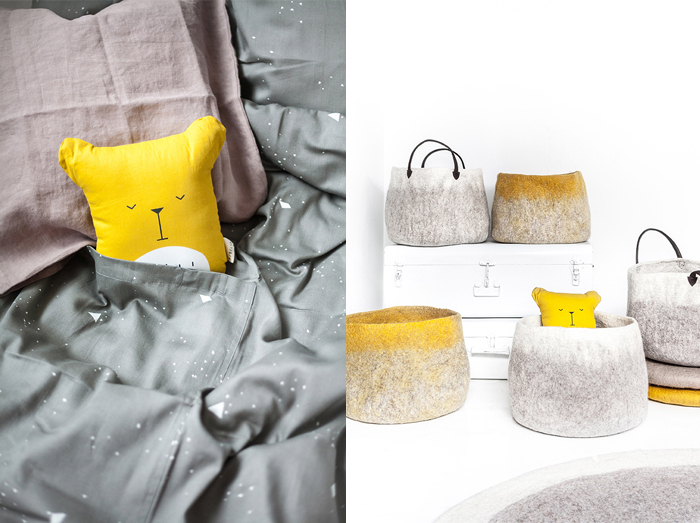 We would not be ourself without adding a splash of yellow into this Scandinavian calmness! What you can find in this room ? Here is a little help. 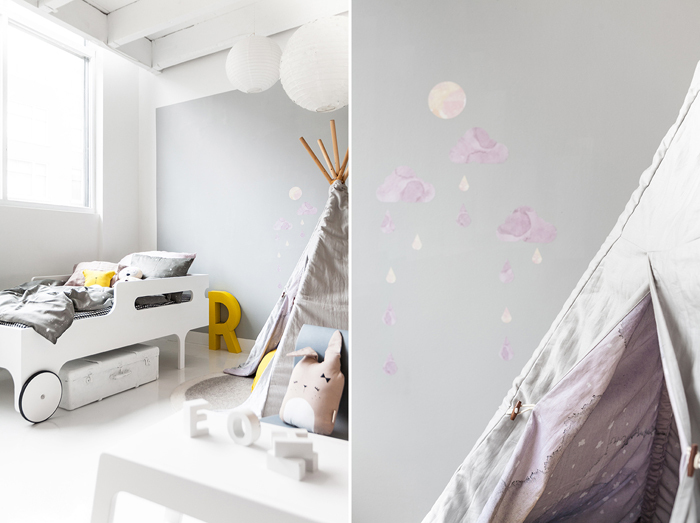 Nightsky Bedding set , Dreamy Clouds stickers, Cuty Bunny, Lazy Bear and Storage Bags Bunny. 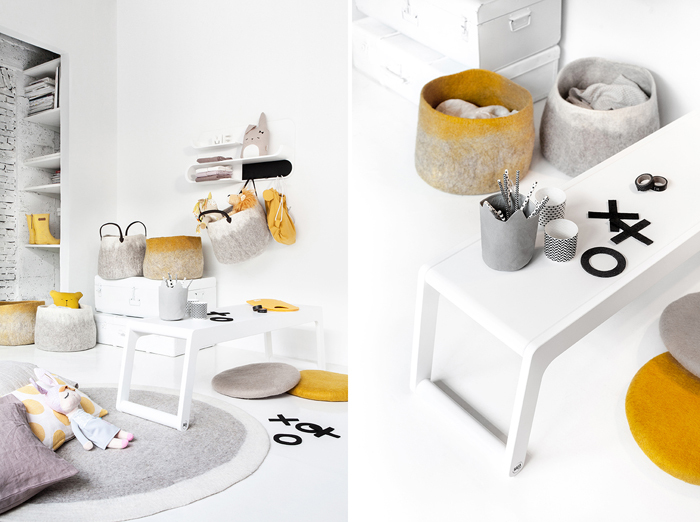 and NEW - LuckyBoySunday Nulle Rug and Nulle Chair Pillow. Rafa-kids XO game and Pillows - Lavender and Ashes of Roses, Legend the Unicorn Soft Doll. Blib Blob, Cordy Roy Lion and Kanicdocka doll. 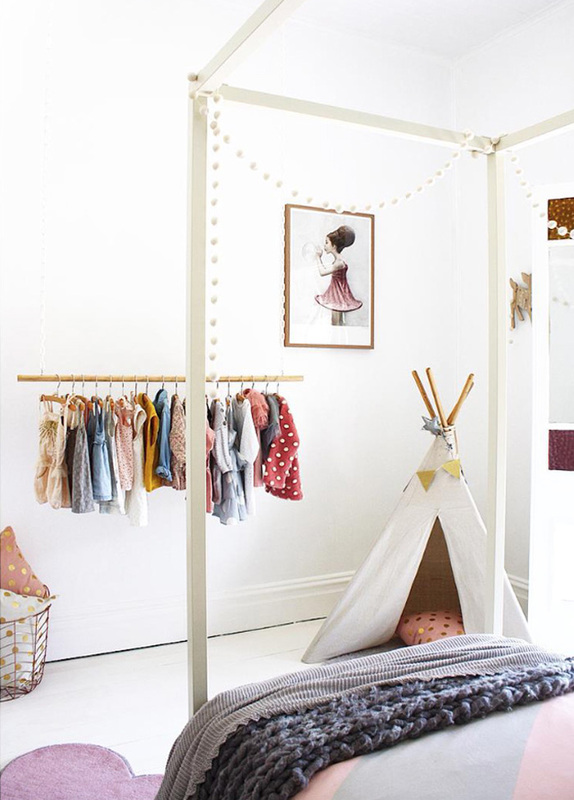 What do you think about using clothes in children's room as decoration ? 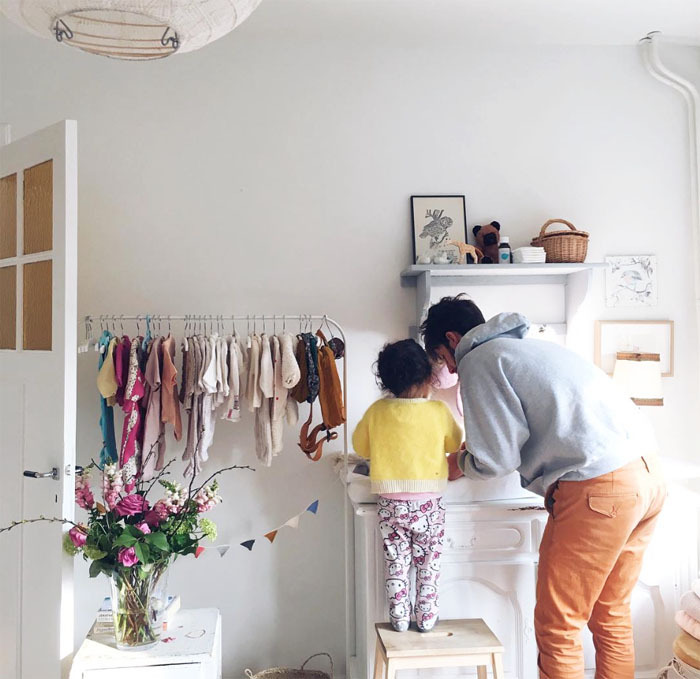 I can imagine, it is a shame to hide in the closet, this one favourite, beautiful dress of your little girl, that she waited and wanted for so long. Or maybe the dress she was wering on her first birthday ? We would like to keep this memory forever, right ? 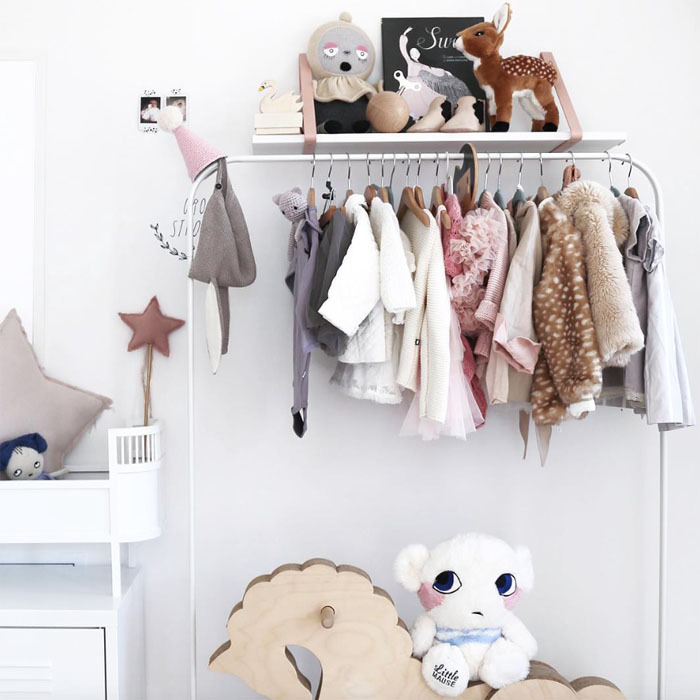 For an older child, having clothes on a rack feels a bit like being in a store, where you can easily reach it, see whats there and play with it. 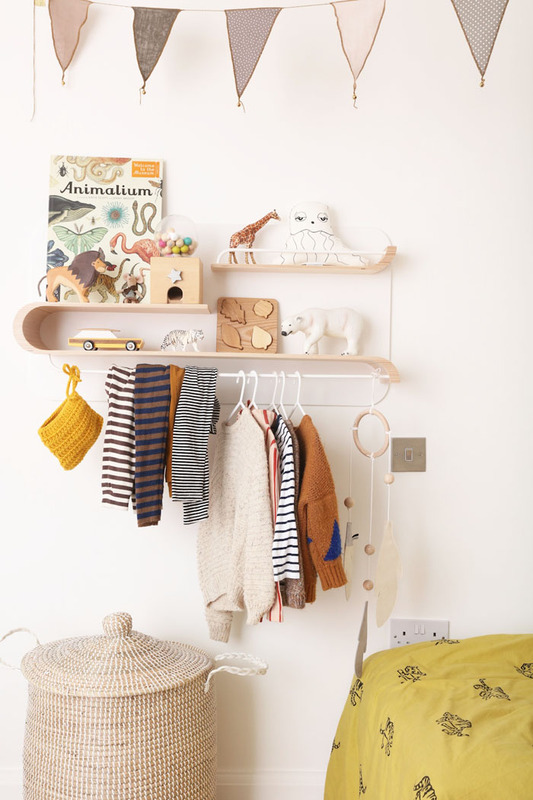 I hope that when we buy less, but very consciously, it would be nice to appreciate the well made, and designed pieces and give them a special place in a child's room. On the other hand, we can hide the rest of garments in a closet. 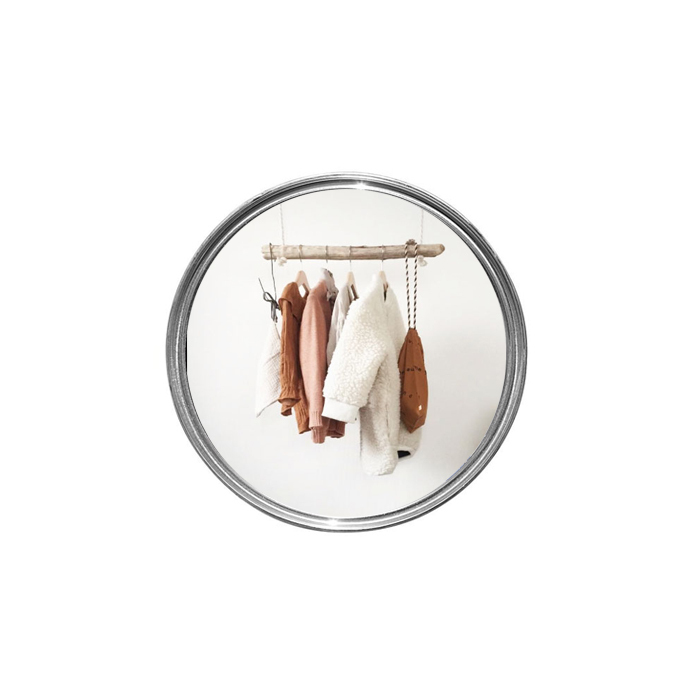 You can create such a beautiful clothes rack, from wooden sticks, for more natural look or use a standart metal adult Clothes rack. There is a plenty of options if you like the idea. 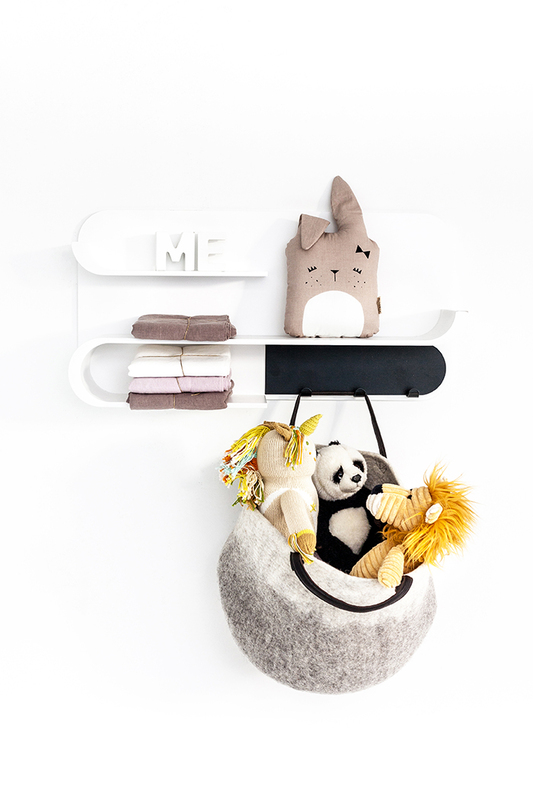 Rafa-kids has also designed a beautiful L shelf with a metal rack to hang the favourite garments of your child. Wishing you a wonderful new week! 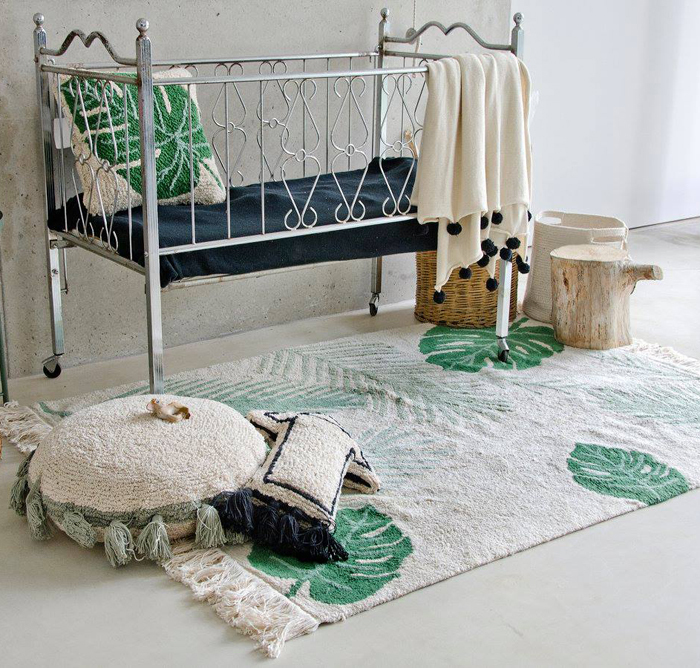 I’m not a fan of rugs, but when it comes to a children’s rooms - they are simply a ‘must have’. 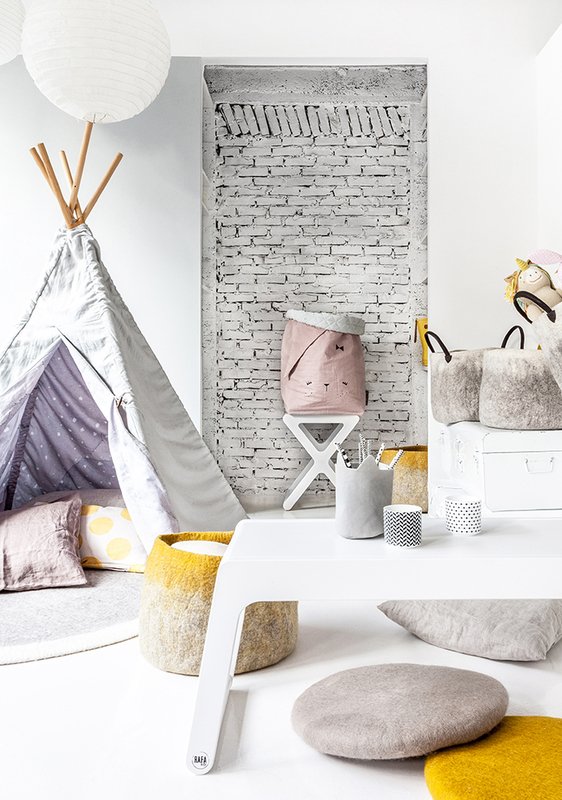 Children love to play on the floor and as parents, we would like to keep their feet and knees soft and cosy, right ? 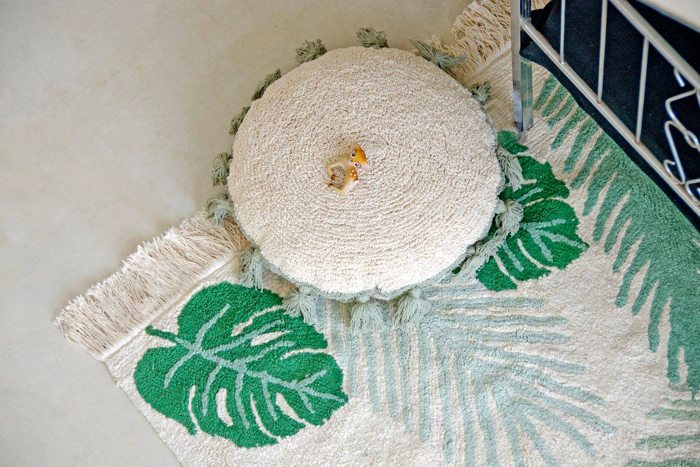 If I could choose, I will always go for good quality, plain colour rug, and that’s all, but as we know, the plain rugs, are the ones which needs the most care to keep them fresh and clean. 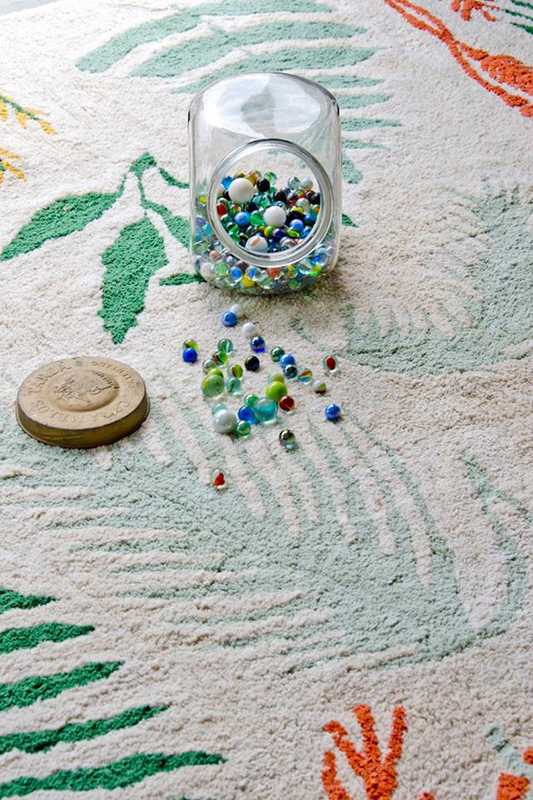 It is definitely more practical to get a rug for children’s room with a bit of a pattern on it. I discovered very recently the Lorena Canals rugs, and really like them. Not only the simple design, but also the great idea, that you can just drop them into your washing machine, how great is that ? 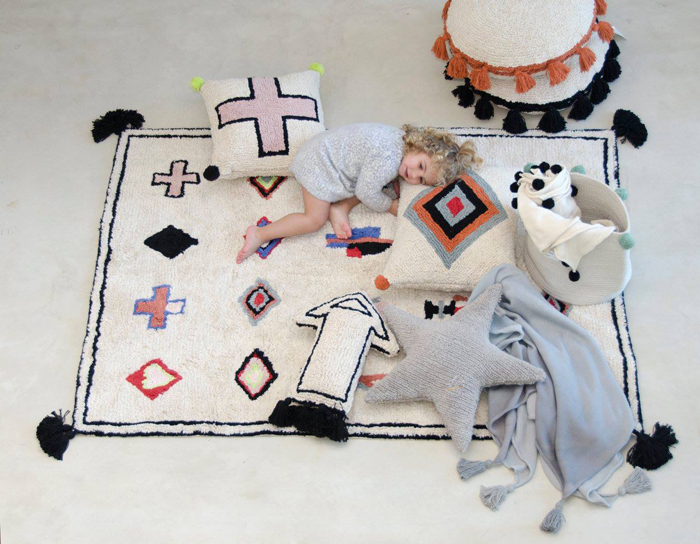 Lorena Canals , create this nice boho vibe around their rugs, with nice baskets and blankets with pom-pons - so fun and playful for kids rooms. 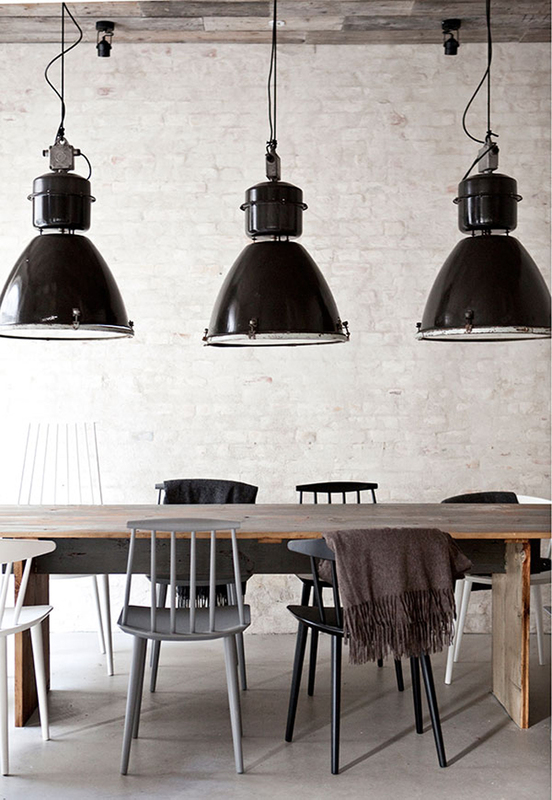 I think they can be spread around the house too, for the cosy and relaxed vibe. 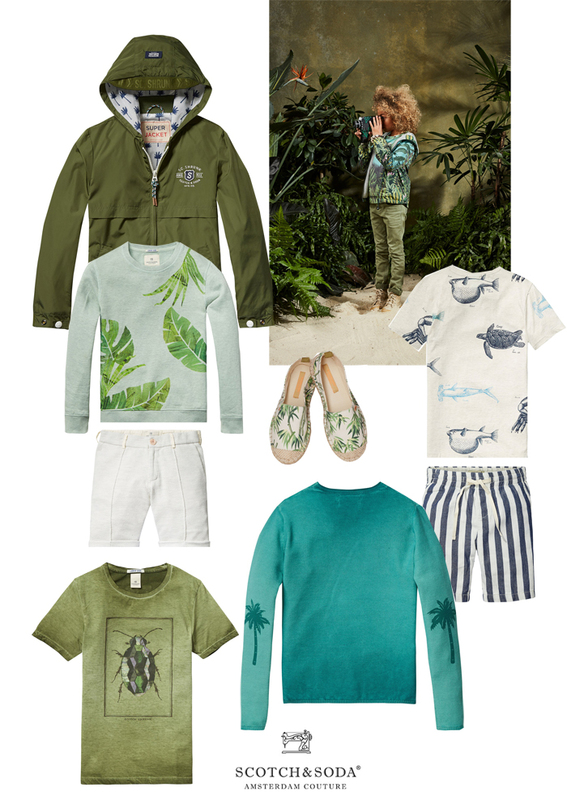 Fashion brands are launching their new collections for Spring/Summer one after another. I try to see some light in the tunnel and find my favourite ones and also collect the common trends. 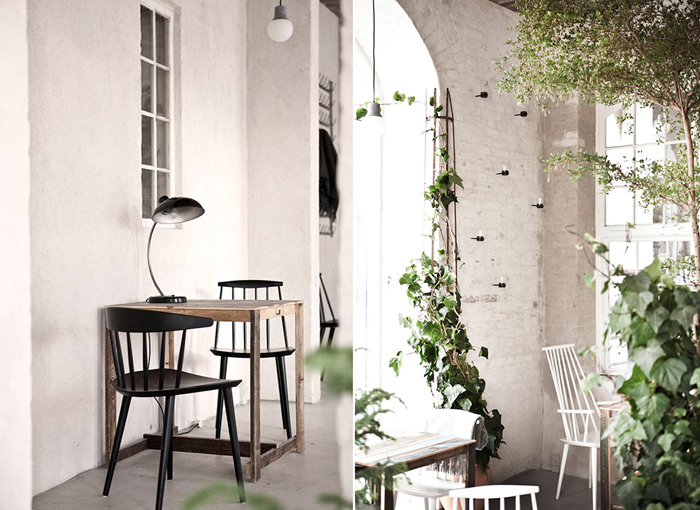 Botanical trend is not a new one, it is also very popular in the interior deco at the moment. 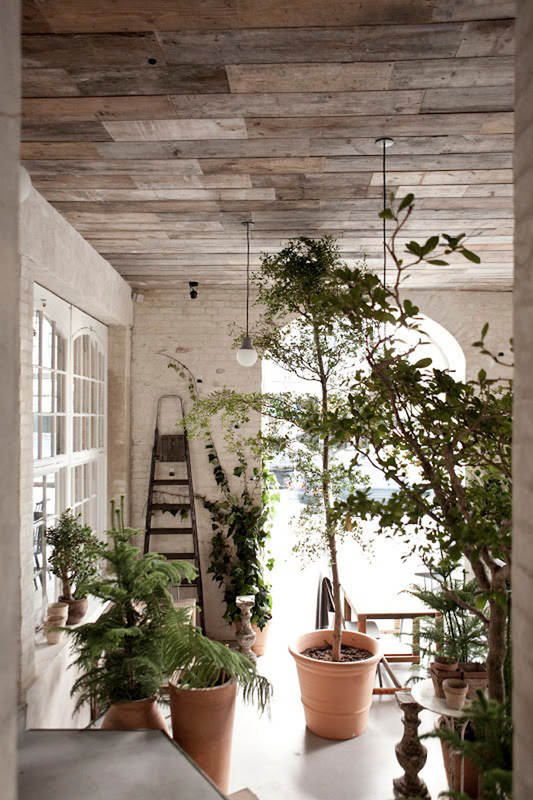 We see a lot of greenery and plants getting into our homes and that’s definitely good for our well being. 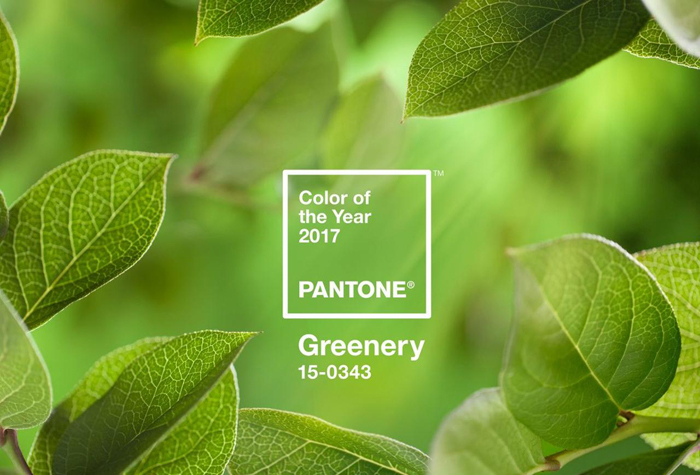 GREEN colour is chosen by Panton as the colour trend for 2017. 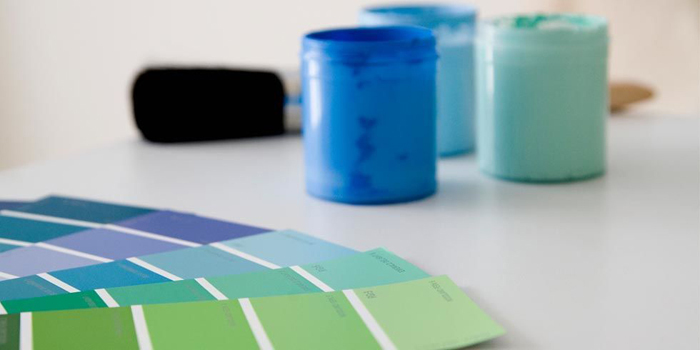 Well, I need to admit, that I do like plants around me but painting a wall or getting a green sofa, it’s something else but who knows ? 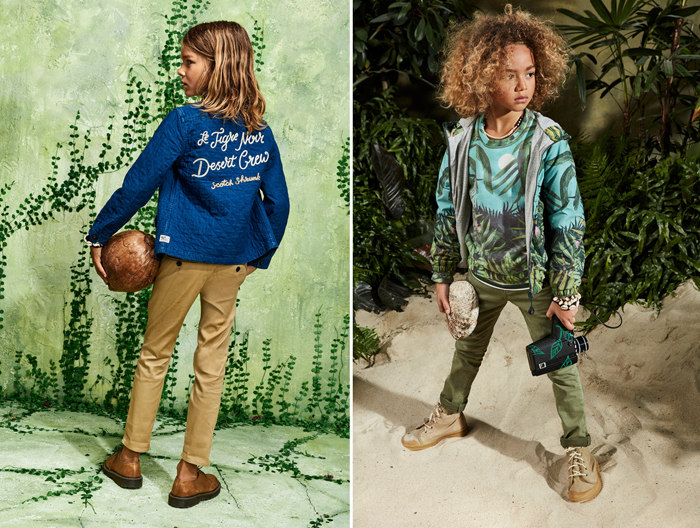 Today I’m showing you the new Scotch-Soda collection for boys. Do you like it ? 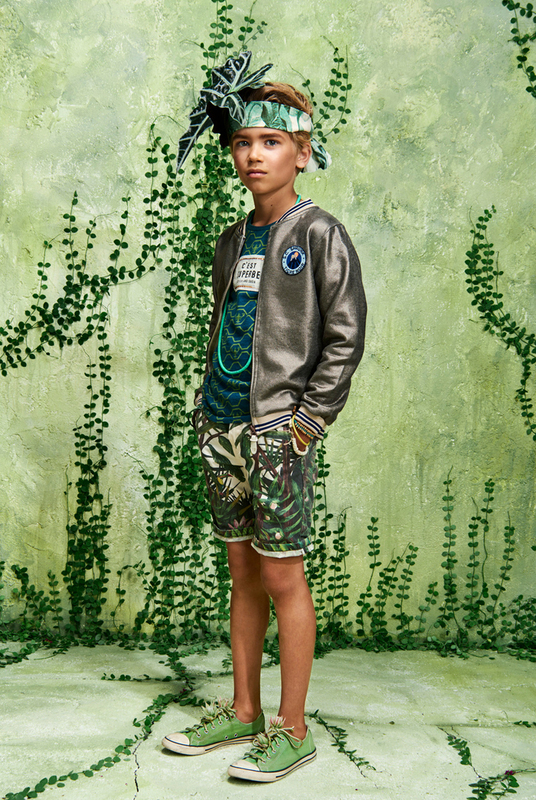 I selected few of my favourite items, which I would love to get for my older, 10 years old son. It feels like holidays, right ? Let’s keep dreaming about them…. I’m just back from a little trip to Copenhagen where Rafa-kids furniture were presented at CIFFkids fair on the Fabelab stand. Any excuse is good to visit this beautiful city. It was such a fresh and cold weather and I managed to look around the center and step by some stores and coffee bars. 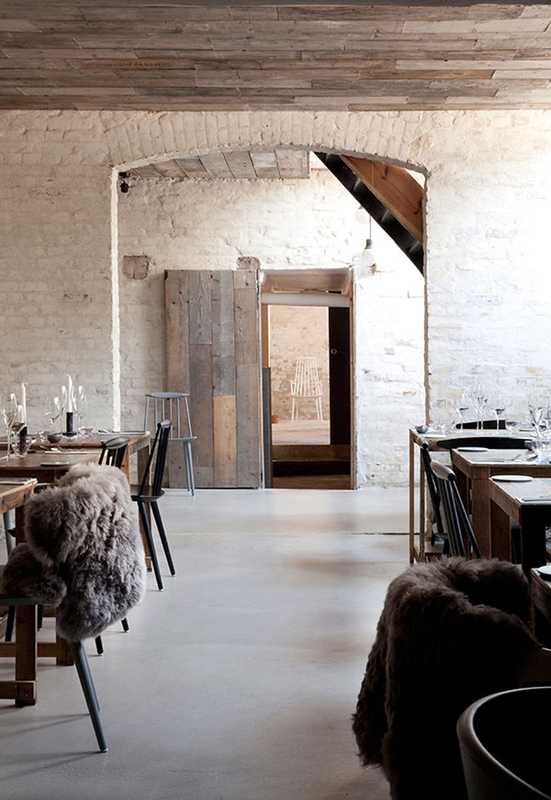 One of my ‘must see’ visits this time was famous Høst Restaurant designed by Norm Architects. It is already 4 years old, and won many international design awards…but well, I wanted to see it myself. 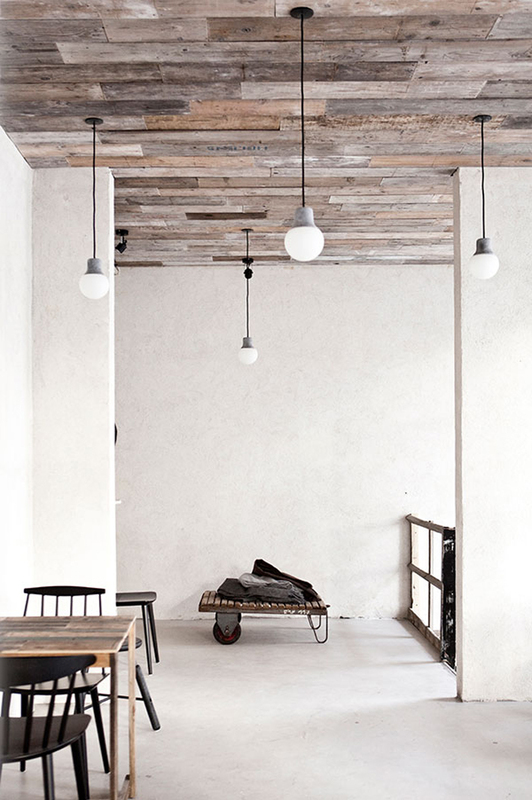 What I like the most is the combination of the imperfect materials like recycled wood, aged concrete, steel, next to some warm wool of the blankets, greenery and delicate modern light. 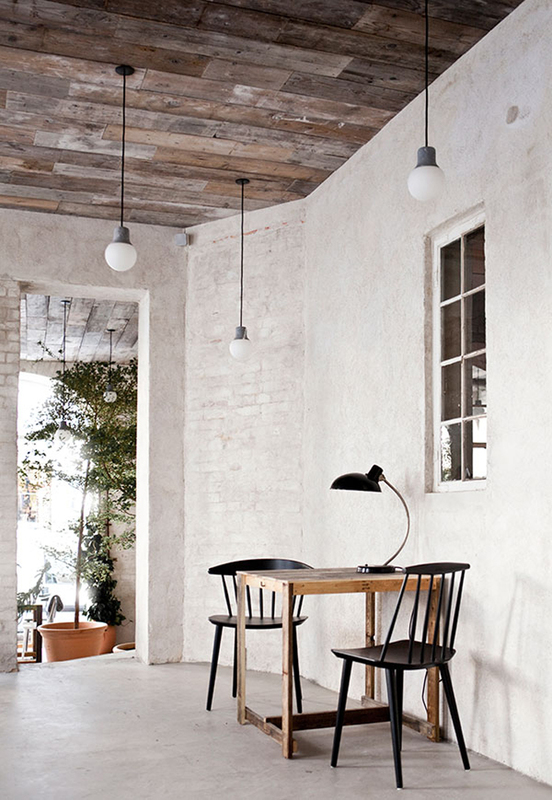 The old wooden ceiling and the not perfect walls, give such a relaxed and cosy atmosphere. The neighbourhood is also nice with a big park, food markets and plenty of space to breath. Probably even more beautiful during warm days, when you can sit outside. I will be back!